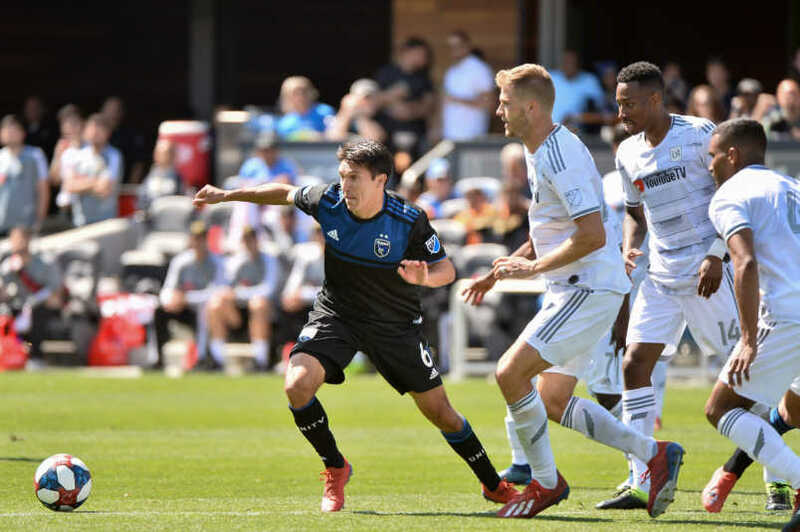 By Luis Bueno – RIVERSIDE, CA (Apr 4, 2019) US Soccer Players - After more than two decades of existence, MLS may have entered into a new era. The weight of the crown might finally be getting too big to carry. In the league’s first 21 seasons, the defending champions had only failed to reach the postseason twice. However, last year Toronto FC followed up its championship by missing the playoffs. This year’s defending champs may follow suit. Atlanta United is stumbling badly out of the gate. The league’s most exciting and dominant club in 2018 is in last place, all but a shell of its former self. If Atlanta’s struggles continue and the club does indeed usher in the Heavy Crown Era, the cup may be a curse to its holders. Of course, it's one curse that teams would gladly take on if it means tasting glory. The Sounders may not have raised eyebrows like the number two team, but it's difficult to drop Seattle from the top spot when the club has yet to lose a game. Seattle has a good thing going, with three wins and a draw to show from the opening month. Jordan Morris and Raul Ruidiaz may be the most prolific scoring duo in the league while Nicolas Lodeiro has racked up three assists already. The Sounders and LAFC will settle things the old-fashioned way at Banc of California Stadium on April 21. Carlos Vela for MVP. LAFC to MLS Cup. Those are the two clearest impressions left behind following the first month of the season. With Sebastian Giovinco gone from MLS, the unofficial moniker of League’s Best Player is seemingly falling on Vela. All Vela did in March was score six goals and set up three others. This team has also become the league’s most exciting not just due to scoring the most goals. It's how they're scoring them. MLS Cup comes earlier in 2019 than the December date it has occupied in recent years. In fact, it looks like April 6 could be this year’s MLS Cup date as that is when LAFC visits DC United. Both teams are playing at a high level already and both sides have a star player leading the way. For DC, that is Wayne Rooney not dropping off from his torrid pace of a year ago. Rooney’s bending free kick from a ridiculous angle against Orlando was one of his four goals scored this season. Most impressively though has been DC’s defense. They've allowed just one goal. This conference could be DC’s to lose. Even with the Concacaf Champions League on its mind, Sporting KC has been able to maintain its focus on league play and pull out some impressive results. Sporting KC demolished the Montreal Impact by 7-1 and is playing with swagger as April begins. Whether or not Monterrey proves too much for Sporting KC in the Champions League seems not to matter as the club is certain to continue piling up results in league play. There is nothing fancy about the Crew. In five games, the club has scored six goals and yielded four. Gyasi Zardes has accounted for three goals while defender Gaston Sauro is second on the team with two. Columbus has been highly effective, grinding away results and getting points. Caleb Porter’s maiden voyage in Columbus is starting off well. It may not be the most aesthetically-pleasing journey, but the points should continue to pile up. The nightmare is over. Even without Sebastian Giovinco, Toronto FC seems to have recovered its form. The Reds have scored 10 goals in three games. Newcomer Alex Pozuelo scored twice in his debut and could fill the superstar role that Giovinco held. The bulk of the roster from 2017 is still around. With the team regaining its way, this could be the season that the team should have had a year ago. Zlatan Ibrahimovic may be in the race for league MVP before the year is out, or his exploits may be overshadowed by fellow LA resident Carlos Vela. Ibra though is certainly the Galaxy’s most valuable player. Ibrahimovic has scored three goals in two games and the Galaxy is clearly a different team with him around. The Galaxy still has not gotten past its defensive problems of the last couple of seasons, but if Ibrahimovic can stay healthy this team has enough to overcome those problems. Forgive the Red Bulls for their difficult early spell. The Concacaf Champions League was a major distraction and partially to blame for New York’s 1-2-1 mark. New York’s offense though has been the biggest letdown of the early season. Aside from a 4-1 rout of San Jose, New York has just one goal in three games. It is not quite time to panic. However, the results must start to come or else the club will sink in the table and in these rankings. Perhaps Houston’s ranking is a bit inflated given the club’s season. Houston has three wins, but they came against Montreal, Vancouver, and Colorado. Still, Houston can only play who is in front of them and thus far that has led to a 3-0-1 mark. Midfielder Memo Rodriguez has carried the scoring load with four goals on the season. If he can continue his breakthrough season, Houston’s attack will be dangerous, especially when the contending teams pay BBVA Compass Stadium a visit. Maybe these rankings were a bit harsh on FC Dallas a month ago. The club had lost Oscar Pareja and did not appear to be very exciting. Three wins and a draw from five games in March is not bad at all. Michael Barrios appears poised to take the reins as the team’s scoring leader, but this team actually has solid balance in its scoring. FC Dallas's win at RSL was solid as it came on the road and served as Paxton Pomykal’s breakthrough match. The teenager scored his first two career goals and only solidified his spot in the starting lineup. Winless through the first month and coming off a 4-0 loss at Toronto FC, NYCFC somehow did not plummet down the rankings. That is mostly due to two results. NYCFC tied both DC United and LAFC. The result at Toronto FC was more TFC hitting on all cylinders than it was a reflection of NYCFC’s true strength. NYCFC does need to figure out who will score goals for the club this season. Alexander Ring leads the team with two goals but relying on him to be the scoring leader this year will not cut it. A year ago, Toronto FC continued to get the benefit of the doubt in these rankings despite poor results. Atlanta gets no such grace period. Maybe. It’s possible that had this team not won MLS Cup a year ago, the club may have slid further in these rankings. Either way, 2018 is long gone and with it the air of confidence that surrounded this team. First order of business is to figure out how to score goals once more. After scoring a league-high 70 goals last year, Atlanta has just two this season. David Accam arrived in Philadelphia ahead of the 2018 season with great promise and promptly fell flat on his face, scoring just once in 23 games. This year though he is displaying the type of production that the team had hoped he would have had a year ago. Accam has already tripled his 2018 output and is still trying to figure out his spot in this team. Accam has gone the distance just once and has only started two of the Union’s four games this year. With newcomer Marco Fabian pitching in two goals, the two should continue scoring goals at a solid pace. If you are looking for a sleeper pick to make a run at MLS Cup, look at Minnesota United FC. The club played all of its March games on the road with two wins and two losses. They've already doubled their entire road win total from 2018. Minnesota has a fine collection of talent, including Ozzie Alonso, Darwin Quintero, and Ike Opara. Once Minnesota starts playing at home, the team will get into a rhythm and become even more dangerous. 15. Montreal Impact (15) Montreal may have moved up a spot or two had the club not completely fallen apart against Sporting KC. Losing 7-1 to anyone should cost any team to slide down these rankings but Montreal did have solid performances in wins at San Jose and Orlando. Not against the toughest competition, sure, but Montreal has shown a flair for the attack. Because of cold weather in the city of Montreal, the Impact will not play many home games over the next two months (seven of the next 11 are on the road). Montreal needs to not let poor results over that stretch kill its hopes for a playoff spot. Maybe this expansion season won’t be so bad after all. FC Cincinnati has brought some excitement into MLS. FC Cincinnati drew more than 32,000 to its home opener, a 3-0 rout of Portland on March 17. The club though needs one player to step up and become the go-to scorer. Different players have scored Cincinnati's seven goals. Atlanta and LAFC have set an impossibly high bar, but FC Cincinnati does not look inept based on other expansion seasons. The bottom has fallen out on RSL. After a road draw and home win to start the year, RSL has dropped three straight and given up 11 goals in those games. The worst of those losses was the 4-2 loss to FC Dallas as it came at Rio Tinto Stadium. Getting hampered with a red card did not help, but RSL gave up a goal in the first minute. RSL could stand for a bit more discipline as the club leads the league with four red cards through the first month of the season. The Timbers have drawn the worst hand in the league. Every game will be an away game until Portland opens the renovated Providence Park against LAFC on June 1. In between, the goal for this team should be to not lose every game. If that is already the objective, the club is failing miserably. Portland has dropped three consecutive games and is poised to lose more. The Timbers will have the opposite scenario come August, when the club will play 12 of the final 13 games at home. By then the rest of the Western Conference may be too far ahead to catch up. Things are not going well for Vancouver, but the source of that frustration varies depending on whose opinion it is. Within the team, the feeling is that the club has been hard done by the officiating. Vancouver coach Marc Dos Santos even went so far to say he did not want to win the VAR Cup. At this rate, that is the only thing Vancouver will win. Sure, some calls have gone against the club but placing the bulk of the blame on the officials is pointing away from the real problem. This team needs to focus on its internal issues now rather than waiting to see if the calls suddenly go the way they want. One win from five games is not the way to start a championship campaign. Still, Orlando has already shown more in those five games than they showed the last half of 2018. Orlando is competitive and has been in some ways unfortunate to not have more points. Orlando’s spirit in its failed comeback against DC United last weekend was impressive. The club’s collapse in a 1-1 draw against Chicago on March 9 was something a more experienced team does not let happen. Orlando still has much work to do in order to compete for a playoff spot. Unlike in 2018, there is hope this season. Chicago is yet another team that is destined to struggle offensively this year. Now, Chicago has yet to be shut out, but that is misleading. Chicago’s lone win was a 1-0 victory over New York in which the Red Bulls scored an own-goal. The Galaxy gifted Chicago a goal in the season opener, a 2-1 loss to LA. This team has some nice pieces, but seems unable to figure out how to get the best from them. The month finished in a way that the Revs hope will carry over into April. Sadly, it won’t. New England’s lone win came against Minnesota United, a talented team that has yet to play a home game. The Revs then can thank the schedule-makers for that bit of fortune. Coach Brad Friedel has publicly pointed to issues in his squad. An unmotivated Revs side is a nightmare season waiting to happen. The Rapids threatened to make 2019 a bit different by the way the season started. Five games in and the Rapids look destined to remain mired near the bottom of the rankings. Colorado has two draws but has not been very competitive overall. After a spirited 3-3 draw to start the season, the Rapids have scored just three goals in four games since. The lack of goals is alarming and that's what will keep the club in the 20s throughout this season. Turns out, a competent head coach is not the problem. San Jose suffered through March and there seems to be no relief in sight. San Jose has lost all four of its games and outscored 14-2. The losses are also getting worse as LAFC dropped a 5-0 rout on San Jose last time out. New boss Matias Almeyda is still saying all the right things, but he must be wondering what exactly he got himself into.